I’ve always been a Prada girl; in fact, my first premiere designer bag was a nylon Prada messenger bag that I used for college. Did it fit everything I needed? No. But I loved that bag, and I made it work. Now, I’m a major fangirl for Prada’s more structured offerings. The brand does Saffiano so well, and some of its classics, like the Prada Double and Prada Galleria bag, are among the most sought-after bags out there. Enter the Prada Paradigme Bag. I love this bag. I simply love it. The Saffiano and calf leather combo is oh-so-lovely, and the interior of the bag is made for ease of use, with two accessible zippered pockets and two interior pockets, including one with a zipper closure. 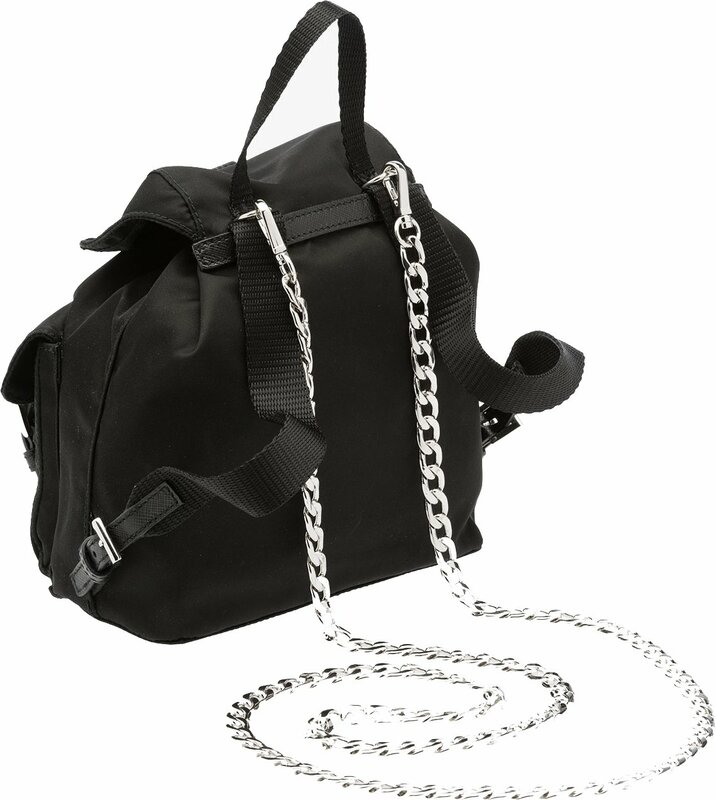 The bag has offset color embellishments on the shoulder strap and inside, which gives just the right touch of playfulness without going overboard. This bag is made to be easy to carry, with double leather handles and a detachable and adjustable leather shoulder strap. And like many other Prada bags, there are ample colorways, so you can find one that meets your fancy. All I can say is this bag is what my Prada dreams are made of and I love the black with pink combo. Overall dimensions are 12.2″ x 9.2″ x 5.9″. $2,710 via Prada. One of Prada’s most popular and historic leathers is none other than Prada Safiano Leather. This gorgeous leather is made specifically of Calf leather with a uniquely designed diagonal pattern. In fact, this diagonal design is so unique and specially made it has been patented by Prada. Made with heat-stamped synthetic grain, Prada Safiano Leather is incredibly durable and resistant to almost anything- including water- making it the go-to choice for everyday bags. Women love the elegant style of this particular leather, but they love its resistance even more. Simply stated, Prada Safiano Leather gets a 10 out of 10 and you should definitely consider it for you bag. Created by Miuccia Prada herself, Prada Tessuto/Vela Leather is a very common, trendy, and ever-popular leather. It has been noted as “one of the thickest” and “most durable” leathers on the market. Ladies love this gorgeous leather and we can see why. Prada Tessuto/Vela Leather has a subtle shimmer that glistens in the sunlight, making for one very glorious and snazzy bag. It can withstand almost anything, including water damage and rough use. It won’t scratch easily and the best part it this particular leather can be cleaned with ease. If marks or scuffs do show up, simply wipe the bag down with a washcloth and it will dazzle like new. Another grand leather from Prada that also receives a 10 out of 10! To put it plainly, Prada Vitello/Vitello Lux Leather is a gorgeous looking leather that oozes high class. It’s a smooth, dazzling leather that is slick and fair. Many women are drawn to its elegant appearance and love the design of the Calfskin. It’s a great choice for all handbags as it is fairly durable and strong, and will hold up well even after months of use. Its durability allows the Prada Vitello/Vitello Lux Leather handbags to hold their shape and not get scuffed too easily. As with any Prada bag, you should try to be as careful as possible as some larger scratches may need professional care. Do you see the interesting texture and design of this leather? It’s not deerskin, as you might imagine. It’s actually calfskin that has been treated to give the leather the same feel and look as ever-popular deerskin. That being said, PRada Vitello Daino Leather isn’t as soft or easily broken as deerskin. It is certainly “tough as nails” and can withstand any weather mother nature may throw at it (so yes, heat and water won’t have much effect on this leather). It is incredibly strong and will maintain structure of any handbag it’s thrown on. Prada Vitello Daino Leather is simply a fascinating leather that is as strong as it is trendy and beautiful. Buttery smooth with a highly sophisticated appearance, Prada Cervo Leather is a wonderful choice for handbags. It has a sensationally soft texture that many are drawn to, while the beautifully textured exterior is swank and stylish. However, before you place this leather on your bag, there’s a few things you should know. Yes, Prada Cervo Leather is fairly durable, but it will require some babying. It shouldn’t be handled roughly and should be kept out of danger, as scratches and scuffs can easily show up on a Prada Cervo Leather bag. But if you don’t mind the extra care, this leather is a very lovely and voguish choice. 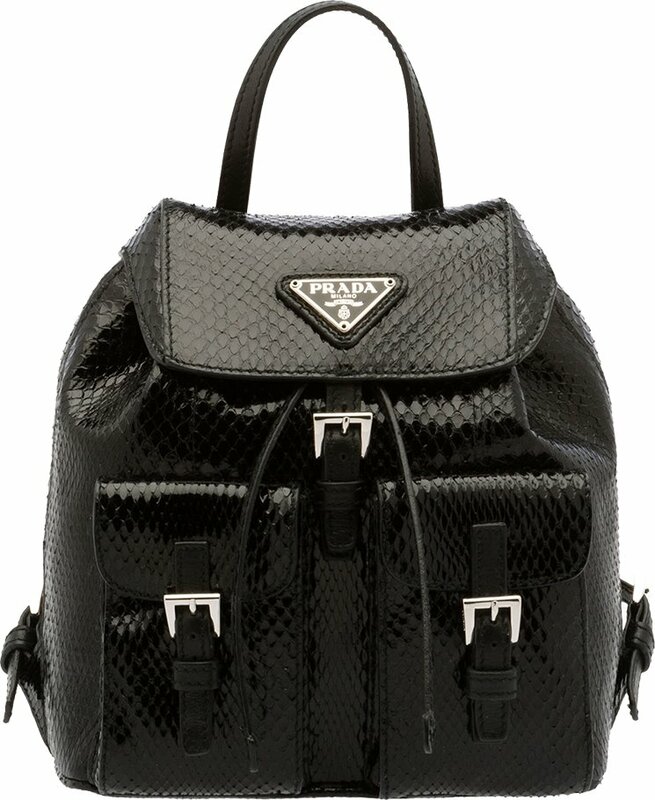 Prada Nappa Gaufre Leather is undoubtedly one of the most sought after leathers in the industry. It is incredibly thin and soft to touch with a classy and luxurious appearance that looks fabulous on literally any bag. Ladies love the immense detail and texture of this leather and fall in love with its polished design. And while you may think this leather is overly delicate due to its thinness, it is rather durable and can hold up well- although you should try to keep it away from harms way as much as possible. 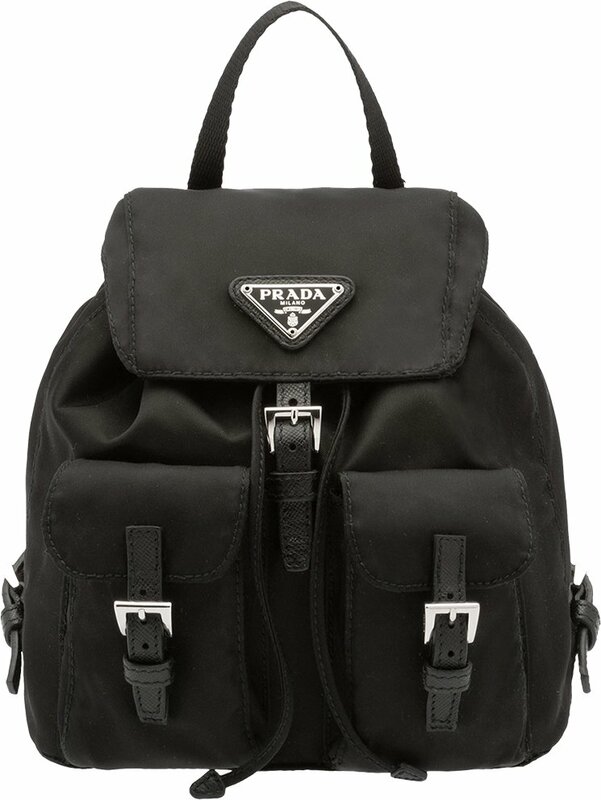 Prada Nappa Gaufre Leather is a definitely favorite and many believe it looks best in darker colors. Canvas has had a reputation as being delicate and easily destroyed. Stains stick to canvas like white on rice! However, when it comes to Prada Canapa/Canvas, we can certainly say that this isn’t entirely true. Prada certainly went out of their way to make sure their canvas could withstand the test of time by making it sturdy, luxurious, and durable. While Prada Canapa/Canvas is still more risky than other leathers, it is still much easier to clean than other canvas in the industry. If you’re opting for this texture, just try to take care of it as best you can and don’t treat it roughly! If you want to switch it up a bit and have a leather that’s different than the rest, Prada Cavallino Leather may be the choice for you. This stunning and sophisticated leather includes the beautiful and soft Calfskin hair, making it as appealing to the eye as it is interesting to touch. It makes any bag go from dull and boring to refined and polished in the blink of an eye. However, Prada Cavallino Leather can easily be stained, so you must handle this leather with care. However, if stains or scuffs do occur they may be easily removed by a professional. The Prada Tessuto Bomber is an exquisite piece that is very appealing to look at. Its versailite exterior oozes elegance and is the perfect accessory for high end events or strolls around town. Ladies love the thick and pleated look of the exterior, giving it plenty of funk and chic attitude. The bag is made of the favored Prada Gaufre Nylon with a sensational rich leather trim for a sturdy and durable duo that can withstand almost anything. 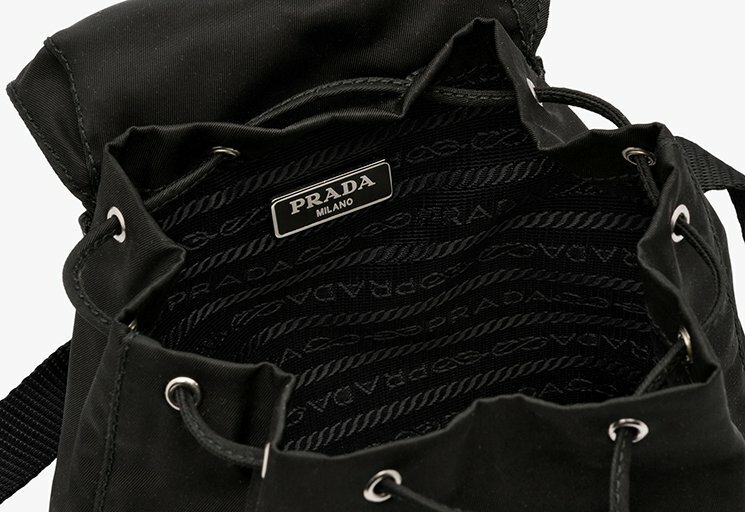 The Prada Tessuto Bomber is fairly easy to clean, and if any scratch or scuff dares penetrate this glorious bag, it can be cleaned professionally with ease. All in all, this is a wonderful accessory that can (and should) be taken everywhere. Prada Tessuto Gauffre Leather is heavenly. And don’t take it from me, take it from the thousands of fashionistas around the world that rave over this sensational leather. It comes with an elegant and delicate pleating, giving it that extra spark of trend and class to separate it from the rest. Not only is it absolutely gorgeous, but this refined leather is incredibly durable and can last for months on end. 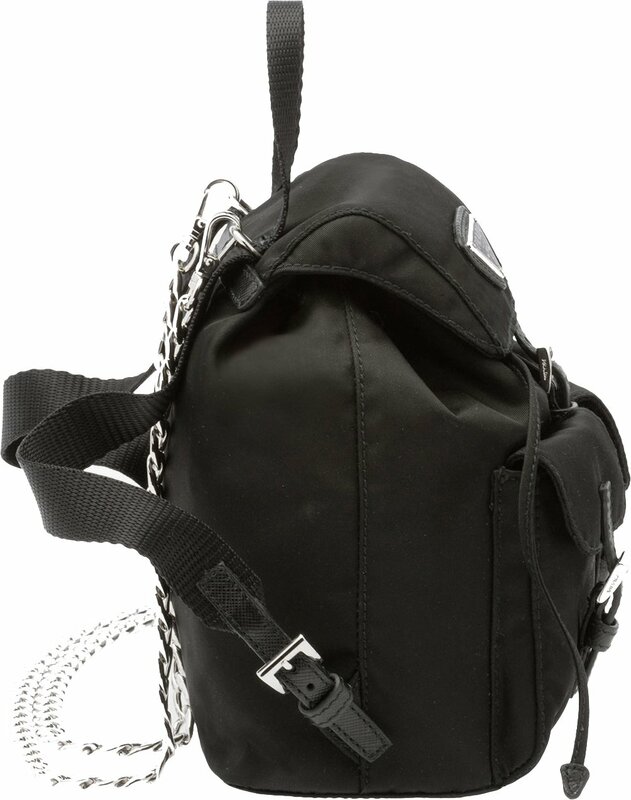 Its sturdiness is a key feature, which means your bag won’t slouch or sag, while also being able to withstand the elements with ease. This classic and dignified leather is certainly a favorite for any bag and can easily be worn season to season. Basque in the comfort and class that is Prada Tessuto Gauffre Leather and you’ll have no worries.